in South Australia - 10 profile(s). South Australia - 10 profile(s). Looking to join a bootcamp or circuit training group for outdoor sessions. Available Mondays, Thursdays, Fridays or Sundays. South of Adelaide CBD preferred but not essential. Hi everyone, I’m a male (late 30’s) seeking others for some fitness experiences around Adelaide, the weather is getting cooler now and ideal for keeping fit and age is not an issue so if your in your 20’s or in your senior years, or a mum of 6! wanting to keep fit, it would be great to get out there and get in shape. I have past experiences in personal training, sports trainer and hold a first aid certificate. I currently live in the eastern suburbs and keep fit around the suburbs either playing Tennis, Running/Walking locally or down at the beach and the challenge of Waterfall Gully when I have time, the best times I can be available to meet is: Mon-Fri 9am-2pm (some days are free, school hours ok in advance); Some evenings free (7pm-9pm); Weekends (available in advance). Please feel to keep in touch if you’re interested in commencing a new fitness program or have an existing one and don’t want to go it alone or finding it hard to stay motivated. Looking to get fit. Need some motivation would love to going a group fitness. Any ideas would be appreciated. I live in the southern area so anything that way would be best. 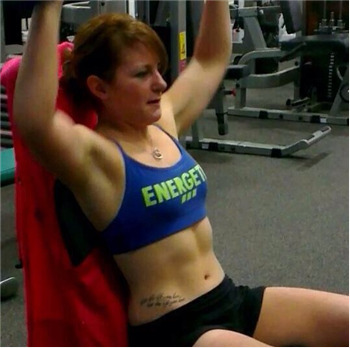 I am a Personal Trainer and would love to help people achieve their goals. If anybody is looking for some training then please let me know!! Ultimate Evolution is an Adelaide-based club that plays a new sport not listed here: Ultimate Frisbee. It's kinda like hockey/netball/soccer - a team sport played outdoors on a field but using a flying disc. We are always interested in picking up fun, athletic people of all backgrounds wanting to try something different. Men, women, young, masters welcome. Please contact us to give it a go!